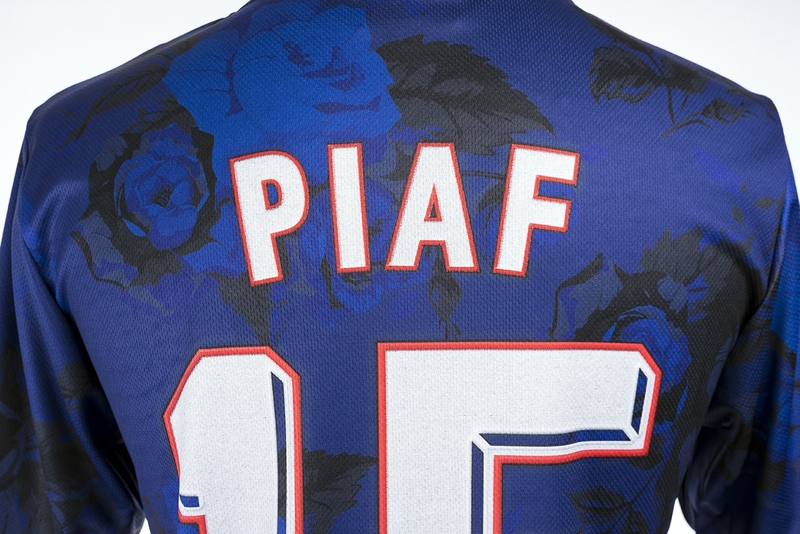 As a followup to the tribute vest, this bespoke football shirt celebrates the Euro 2016 France football team with cabaret singer Édith Piaf’s “La Vie en Rose” as the theme. 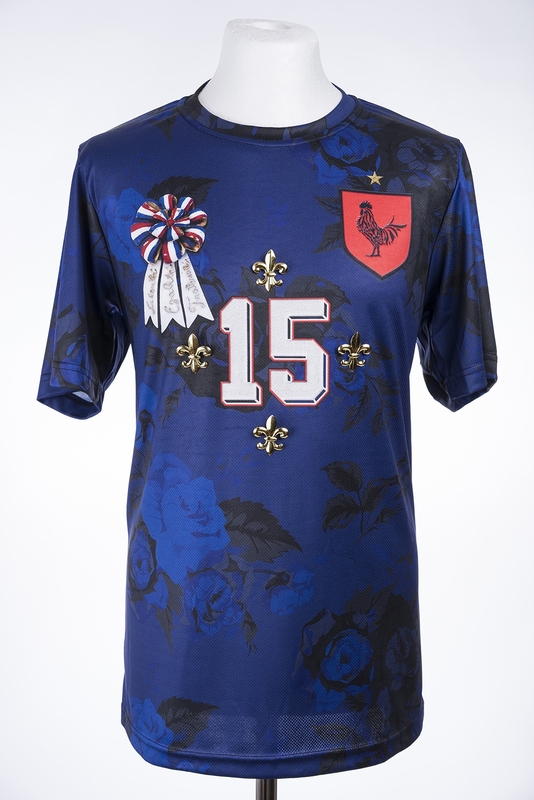 It comes with a custom FFF crest, ’98 name/numbering, and vintage rosette/cockade with “Liberté Egalité Fraternité” written on the ribbons. All parts are sublimated with the crest and name/numbering having been rendered as if to be embroideries. 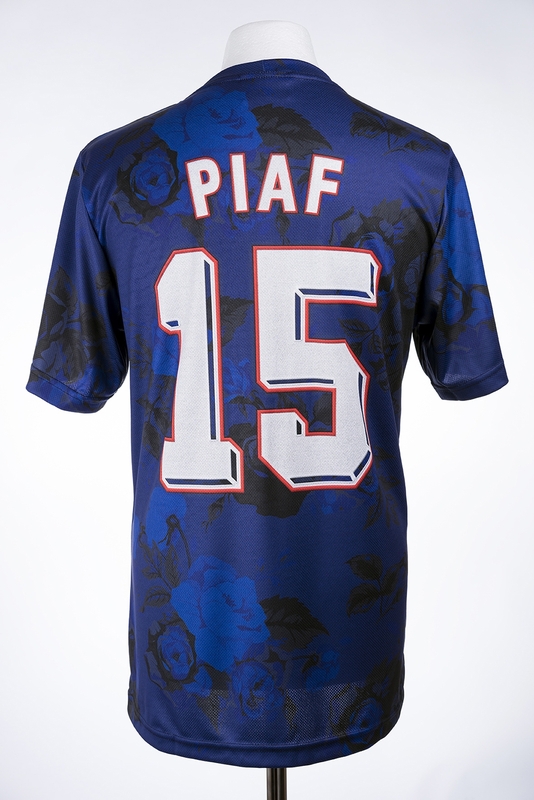 15 is an homage to Piaf and her year of birth….1915. 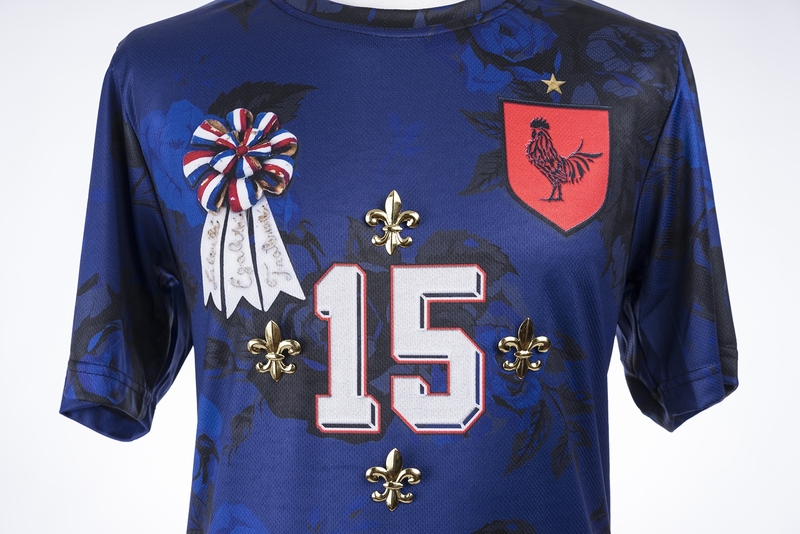 Fleur de lis pins are placed on the front for the regal pomp that the Equipe de France deserves.